The MiniAir Aerial Extension Lead is for use with the DualCom MiniAir. 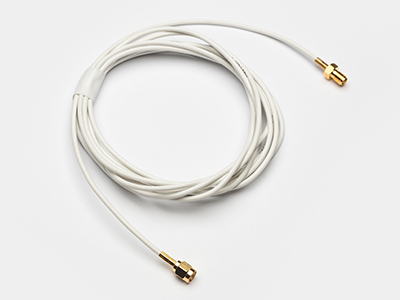 In the unlikely event that the signal received by the MiniAir is insufficient the MiniAir Aerial Extension Lead allows relocation of the aerial of up to 2 metres. If a longer distance is required it is possible to use 2 MiniAir Aerial Extension Leads on the same installation. Increasing the distance beyond this will cause a significant drop in signal strength.